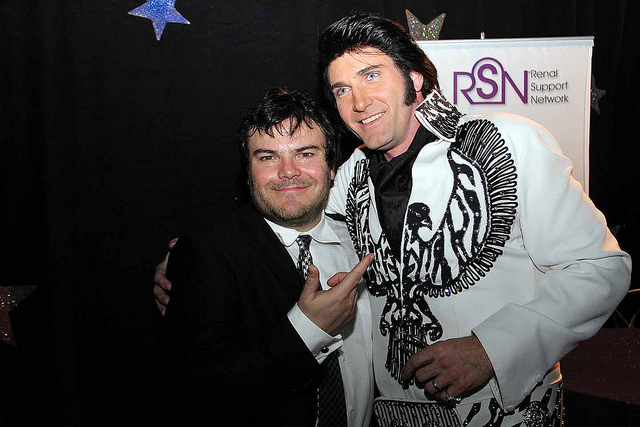 James "King" Kruk Performs a Heart pounding tribute to one of the greatest entertainers who ever lived, Elvis Presley. 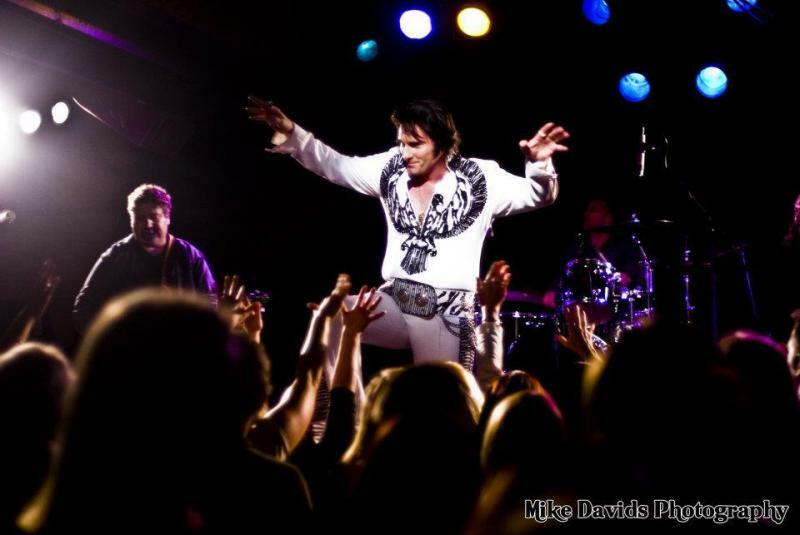 One of the only Elvis Tribute artists to have started by playing Elvis in a National tour of a smash hit play! James Kruks' shows are done in respectful admiration yet are extremely riveting invigorating and fun. photo: with Darlene Tompkins co-star of "Blue Hawaii"
James Kruk has the whole package for your event! Dont just hire some guy in a Jumpsuit hire a PROFESSIONAL full-time entertainer. I Started performing as Elvis in 1998 when I auditioned for noted Comedian/Writer/Actor Steve Martin as he needed an Elvis for the touring production of his play "Picasso at The Lapin Agile." Steve had met Elvis in his days performing in Vegas, so he knew exactly what Elvis was like and he wanted that same flesh and blood person to play the role, not just a hip shaking swaggering caricature. I was chosen to go on tour in the Broadway budgeted production for 2 years and over 450 performances. I delighted crowds as large as 3500. I have played virtually every Casino in San diego County and many major Clubs and Theatres throughout the Southwest. I truly love spreading joy through the persona and music of Elvis Presley, lets go through an historical journey of the heart together and for a short magic while taste just a little bit of yesterday. Rock and Roll, The Kings' style.